Guiding you to your desired financial future is the core focus for all of us at Financial Advisory Corporation. 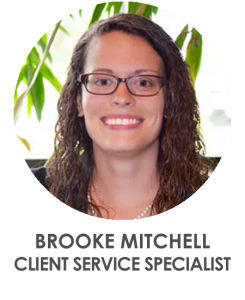 Brooke Mitchell understands how important it is for you to know each detail of the investment management is well attended to. As a member of your service team, Brooke collaborates with our Wealth Advisor Team to ensure data is converted into helpful information that you can use to make the right financial decisions. Brooke and her husband Andrew reside in northeast Grand Rapids. They attend Crossroads Bible Church where Brooke serves on the women’s ministry team. In their free time, they enjoy a wide variety of activities including do-it-yourself projects, playing slow pitch softball and skiing.